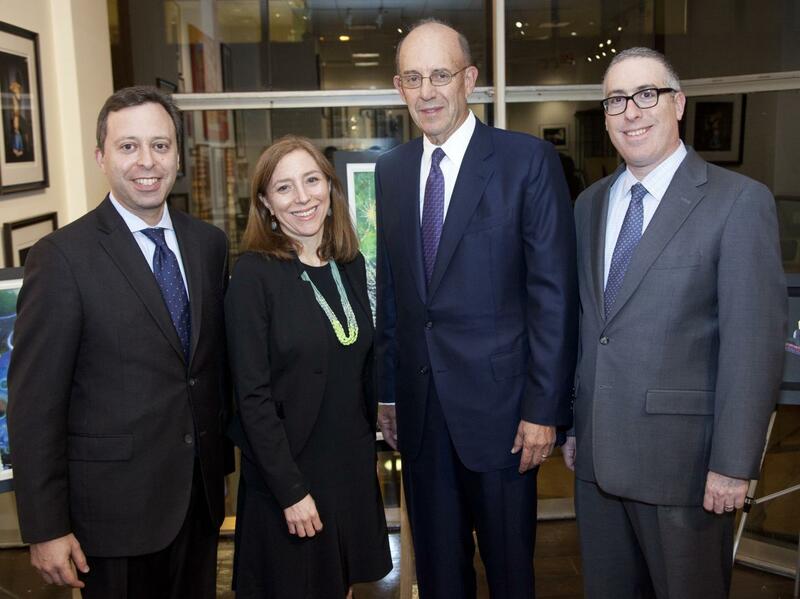 Brooklyn, NY – November 7, 2014 – Legal Information for Families Today (LIFT) announces the election of Anthony D. Schlesinger as Chair of the Board of Directors. Schlesinger, a retired partner from Willkie Farr & Gallagher LLP, was elected at LIFT’s Annual Meeting on September 16, 2014. Also elected to the Executive Committee were William C. Silverman, Esq., as Vice Chair, Glenn R. Pollner, Esq., as Treasurer, and Karen A. Greenstein, Esq., as Secretary. Schlesinger has served on the LIFT board since 2006 and is also a Director and past Chairman of St. Ann’s Warehouse and a Trustee of New York Methodist Hospital. Silverman is a Shareholder at Greenberg Traurig and the head of the firm’s pro bono program in New York. Pollner is a partner at Gibson, Dunn & Crutcher LLP and Greenstein is Senior Vice President, Business and Legal Affairs at Viacom International Inc.
Stephen McGrath, Board Chair since 2007, along with co-founder and outgoing Secretary Liberty Aldrich and outgoing Treasurer Stephen Moore, will remain active as Directors. Launched in 1996, Legal Information for Families Today (LIFT) is an award-winning nonprofit organization in New York City dedicated to empowering unrepresented litigants with legal information and compassionate guidance so that they can successfully advocate for themselves in the New York State Family Court system. LIFT’s court- and community-based programs ensure that families have the ability to access justice. LIFT serves nearly 30,000 families annually.